Saw him the past weekend, very friendly colt. Oh OK that makes it better. Initially I figured it was just a "he's by Tapit and a Triple Crown brother, so Triple Tap" kind of thinking. That's close but not quite! He was indeed born February 27th, as was Tapit himself and Littleprincessemma. Named weanlings from the FT November catalogue. Many of these are really nice or pretty good but this one really made me smile/laugh. Here's to hoping this boy will indeed be as fast as Mbappé! 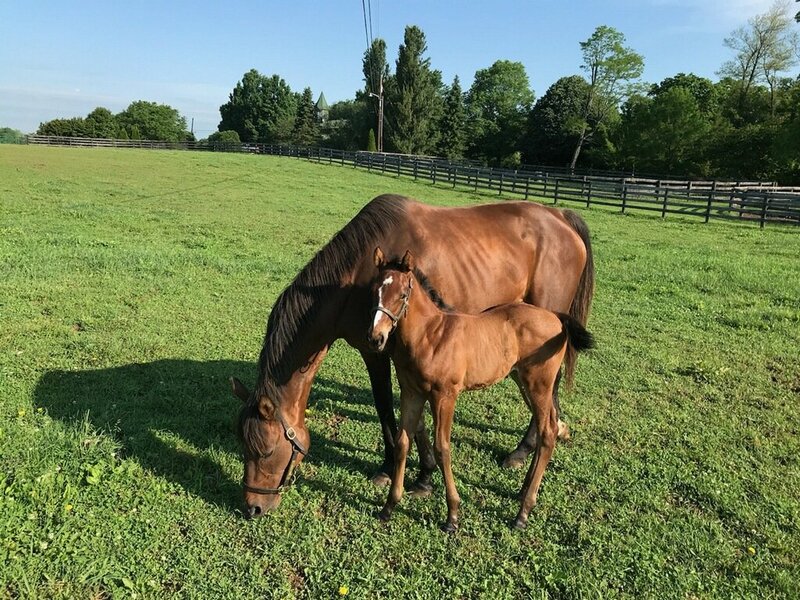 Swipe’s 2018 foals in Sweden have been named. The nice grass filly of the same name is still running here. Paris, f. by Shalaa x Treve (Motivator). Treve's almost 2yo has not been named yet. 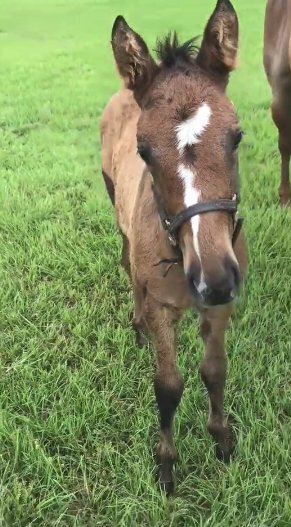 Love the name Paris, though a bit surprised that the foal wasn't given an Arabic name.